During the independence wars, the city was the center of expeditions in the Alto Peru (currently Western Bolivia). 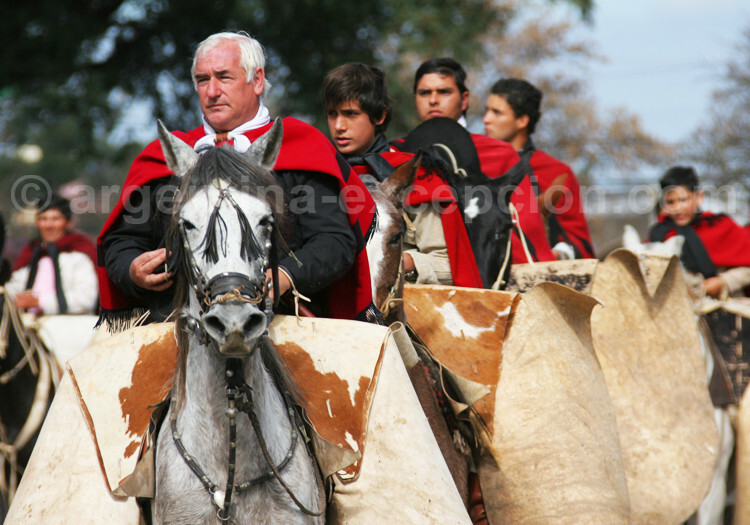 In fight against the Spanish and pro-Spanish “realistas”, the gauchos squads (peasant riders), under the commandment of general Güemes, specially stand out. In 1813, the revolutionary troops, under the orders of Manuel Belgrano, obtained the decisive victory on the realistas, during the battle of Salta, and this great military success will ensure the control of a great part of the territory. 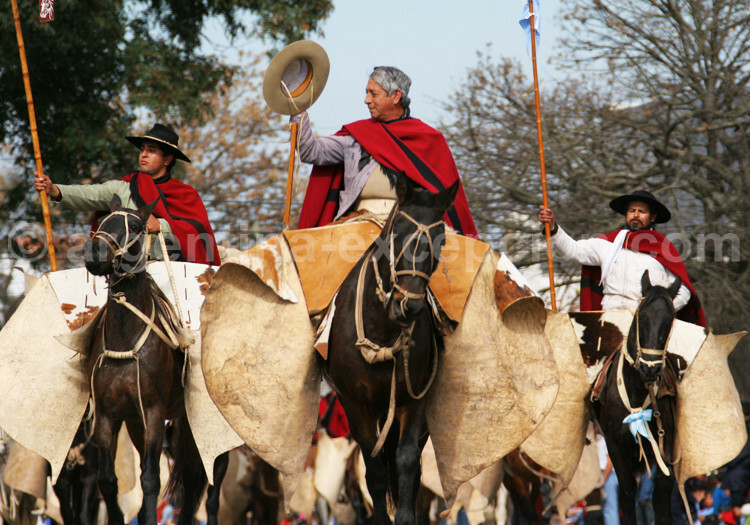 Every June 17th, the city of Salta organizes a great parade of 2000 gauchos coming from all departments in the province. 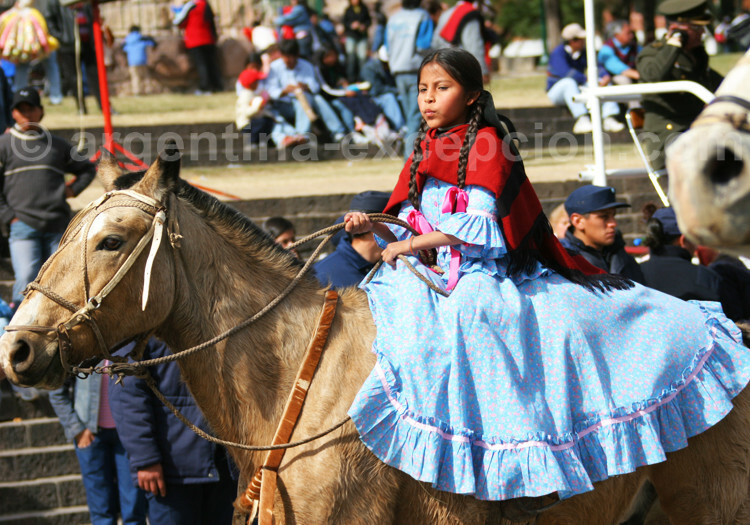 Parades and horse rides of gauchos in their typical clothing are organized in the evening. The folkloric groups gather around the fire for a guitarreada. 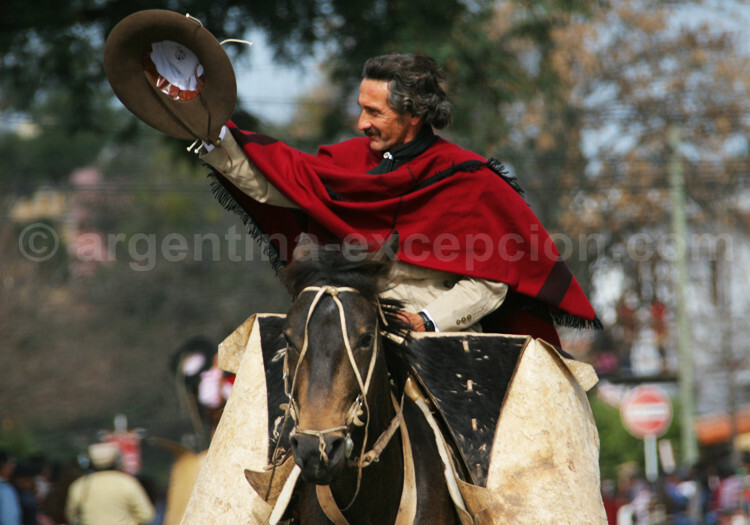 The following day mass is celebrated to which gauchos participate while making a procession to greet the General before getting together again around a banquet. Martín Miguel Juan de Mata Güemes Montero de Goyechea y la Corte, better known as General Güemes, was the only Argentine general who died during the Argentine Independence war. Shot during a surprise attack from the realistas troupes, he died some days later. However, the gaucho war continued and the general’s men succeeded in protecting the city of Salta from the Pro-Spanish troupes. In this way, even if the general had not seen their victory, he would have finally been right about his enemies. On the military plan, the role of General Guemes was decisive for the Independence War: after three defeats in the north of the country, it was able to defend the cities of Salta and Jujuy without external help. Without resistance strategy, the campaigns of San Martin would have not been possible. The remains of the General rest at the Panteon de las Glorias del Norte de la Republica, at the heart of Salta’s Cathedral.